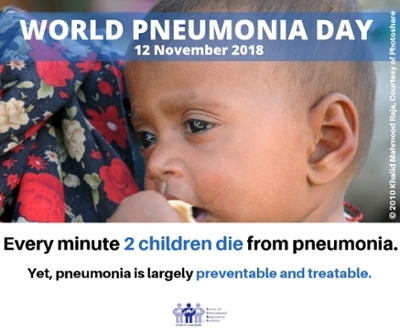 In support of World Pneumonia Day, 12 November, the Forum of International Respiratory Societies (FIRS) calls for renewed efforts to prevent and treat pneumonia. Pneumonia is one of the most preventable and treatable illnesses in global health, yet every minute two children die from this illness, primarily because they are denied the benefits of prevention, accurate diagnosis and treatment. Read the press release here.